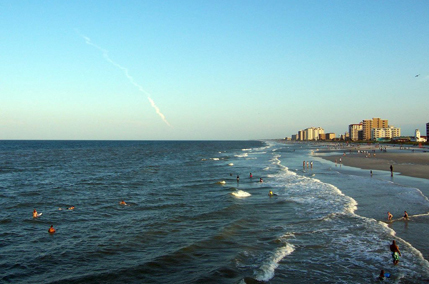 Jacksonville Beach real estate is a real mixture of styles and types of properties. The oceanfront has several high rise buildings, many of which are the likes of those seen on Bravo known as luxury real estate. Some units in buildings like Costa Verano and Marbella boast floor plans well over 4000 square feet and carry a million dollar price tag. But as said, Jacksonville Beach real estate is a mixture. East of A1A in the non-high rise department, you’ll find a little bit of everything. Duplexes, coastal new builds, charming cottages and everything in between. The price point is higher in south Jacksonville Beach, which has a more residential feel. As you head north and across Beach Boulevard, you’ll find the commercial district of Jax Beach, and a hub-bub of activity. There is a lot going on down here. West of A1A, Jacksonville Beach has a mixture of new neighborhoods like Paradise Key and Ocean Kaay, as well as 1960s+ ranch homes. Again, there is a lot of renovation and new building in here too. Some iconic spots in Jacksonville Beach are Bold Bean Coffee, Angie’s Grom, Ritas Shaved Ice, Joe’s Crab Shack, and Casa Maria. You’ll be hard pressed to find a parking spot at the Jax Beach Starbucks which is home to many a telecommuter. A few of the organized neighborhoods are: Paradise Key, the Sanctuary, Avalon, and Ocean Kay.